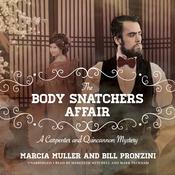 The Flimflam Affair is the latest charming historical mystery in Mystery Writers of America Grand Master Bill Pronzini’s detective series. Carpenter and Quincannon, Professional Detective Services is a fixture in San Francisco at the dawn of a new century. While the future is unclear, Sabina and John know one thing for certain: they will protect their clients from flimflammers, thieves, and murderers, and do whatever it takes to run these dregs of society into the arms of the law. Sometimes, that requires a subtle touch. Professor A. Vargas, self-styled medium extraordinaire, and his partner Annabelle, use guile and trickery to swindle bereaved men and women eager to contact the spirits of deceased loved ones. John and Sabina must not only unmask these charlatans, but also solve the riddle of an impossible murder in the midst of a séance. Other cases involve brute force and personal danger. Such as the theft of a burglarproof safe mysteriously emptied of gold bullion. 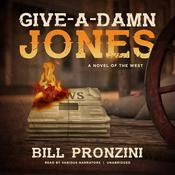 And John’s pursuit of a ruthless gang of counterfeiters, whose leader appears to be a man from John’s past in the Secret Service―a man thought long dead. Adding spice to these exploits is Sabina and John’s personal relationship, which is rapidly progressing to an exciting new level. 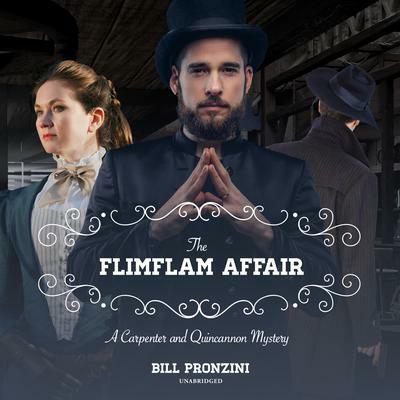 The Flimflam Affair is the latest charming historical mystery in Mystery Writers of America Grand Master Bill Pronzini’s detective series. Carpenter and Quincannon, Professional Detective Services is a fixture in San Francisco at the dawn of a new century. While the future is unclear, Sabina and John know one thing for certain: they will protect their clients from flimflammers, thieves, and murderers, and do whatever it takes to run these dregs of society into the arms of the law. Other cases involve brute force and personal danger. Such as the theft of a burglarproof safe mysteriously emptied of gold bullion. And John’s pursuit of a ruthless gang of counterfeiters, whose leader appears to be a man from John’s past in the Secret Service―a man thought long dead. 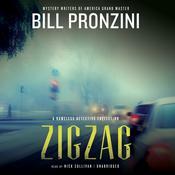 Bill Pronzini has been nominated for or won every prize offered to crime fiction writers, including the 2008 Grand Master Award from the Mystery Writers of America. 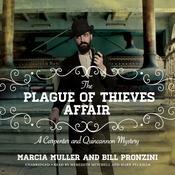 It is no wonder, then, that Ellery Queen’s Mystery Magazine said of him: “Complexity of characterization, puzzle, and theme support the case for Pronzini as the finest American detective novelist in current practice.” He lives and writes in California with his wife, the crime novelist Marcia Muller.